While Nvidia dashed gamers’ hopes of an imminent GTX 1180 graphics card release against the rocks only yesterday morning, the company has released some new Game Ready drivers, 398.11 WHQL, to try and make it all better. 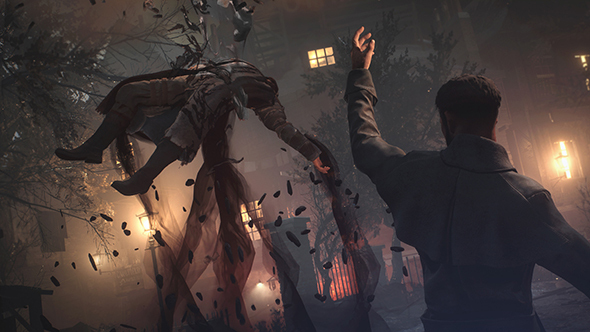 The latest release provides the best experience for Vampyr: the ghoulish RPG set in early twentieth century London that launched just today. 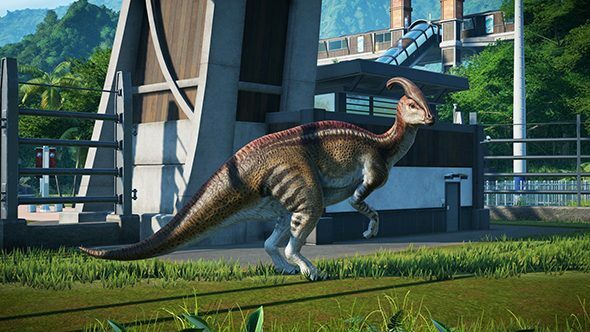 Also included in this release is support for Jurassic World Evolution, the park building sim with Jeff Goldblum reprising his role as Dr. Ian Malcolm. Nvidia are a little early to the party with support for this title, however, as the game doesn’t actually launch until June 12, 2018. Struggling with the latest titles on your ageing graphics card? Here are the best Nvidia graphics cards of 2018. Aside from support for these two titles on day one, or long before the game actually launches, the latest Nvidia Game Ready drivers also offer tweaks to optimise performance with HDR-capable G-Sync displays. That’s just in time for the release of the first generation gaming monitors fitted with Nvidia’s HDR-certified G-Sync tech from Acer and Asus. There’s only a few bug fixes with the latest update. Hitman HDR gets a quick bug fix to prevent HDR settings in-game from clashing with Windows desktop HDR settings, and Call of Duty: WWII no longer shows a blank centre screen during multi-monitor setups. You can download the latest Nvidia drivers from here. With SLI mode enabled, DirectX 12 enabled Hitman crashes if in-game HDR is ON and Windows HDR setting is OFF at lower resolutions. With Surround enabled in Call of Duty, the center Surround display is blank during gameplay. [SLI][GeForce GTX 1080][G-SYNC][World of Warcraft: Legion][HDR]: Severe color corruption appears in the game after launching with the Windows HDR setting enabled. [Notebook][GeForce GTX 1060]: The external HDMI display blinks when playing a video from the Netflix Edge Browser or Blu-ray video in full-screen mode with Windows HDR enabled. [Surround SLI][G-Sync][Overwatch]: There is constant flickering in the game when played in a specific SLI Surround configuration (2 displays on master GPU and 1 display on slave GPU) with G-Sync mode enabled. [Shadow Warrior 2][TITAN V]: After launching the game with Windows HDR setting enabled, there is flickering corruption when hovering the mouse over the game screen. [Dead by Daylight]: NVIDIA Freestyle does not work with the game. [NVIDIA Control Panel][Surround]: NVIDIA Surround hotkeys do not work. With HDR turned on, non HDR full-screen video playback may cause corruption/flicker in the video.